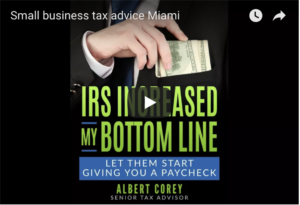 business deductions Archives - Hialeah Accounting Services. Hialeah Accountant Best Accounting at affordable prices. Small Business Deductions that you have missed. Small Business deductions that were overlooked and could save your money. In your small business are especially relevant overlook on several types of deductions. Some of the most overlooked are the tax, legal and educational expenses. Did you know that your home office is small business deductions? Startup costs, advertising, and promotions, and charitable contributions. Your deductions will have a considerable impact on the profit. The money derived from the savings can be used to improve the business performance. Therefore it could give you a competitive advantage. Consequences could be that the saving could be used to buy more office supplies. Since the income might also be subject to tax, it is evident that the money can be used to pay the office supplies. Extra funds will increase the business cash Flow. Small Business Deductions include Tax, Legal and Education Expenses. Essentially, expenses paid for services provided by lawyers, accountants, or business consultants. They are directly related to the daily activities of a small business. Further, according to the IRS, these are deductibles to be offset in the tax year that you spent the money. Other deductions that I will consider eligible include pre-tax preparation fees, regulatory fees. Any licenses paid to the local or state government. Training employees and providing forms of education falls under this category of deductions. Using your home office is the best small business deduction. You will avoid the consequences of paying rent and utilities in an outside office. Please read our other blog post on how to set up your home office. Now you can have more cash flow. It is essential in the early stages of your business. It will give you more money for such items as office supplies and advertising. In conclusion, it does not affect your bottom line since you have to pay these bills every month. Furthermore in the early phases of a business and the extra money will get your business off the ground. These include the costs of getting a new website and buying new software. Purchasing new office equipment is part of small business startup cost. These are the costs that need to be cut to ensure that the business has not been affected over time. You need to track cost To avoid these costs. Track of all the expenditures to improve my business performance. The liabilities that are a necessity for a startup such as insurance costs and other expenditures most often hurt business performance. 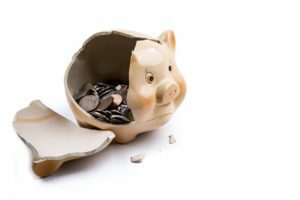 Reducing these expenditures can be one of the approaches to ensuring that the business has diversified and improved its performance over time. Small Business owners need to keep a business in check and also improve its financial wellbeing. During a start of a phase of your business, some will think that hiring an accountant is not needed. That does not hold true. It could be the best money spent. They will know what you need for you to increase your cash flow. Check your spending to make sure you are on the right track. Advertising and promotion are essential to ensuring improved business performance. Avoiding these types of expenses usually affects how the company operates and increases the cash flow. It is prudent to avoid such expenses as they might affect the performance of the business. Future performances could always affect the business in the long term. Alternatively, word of mouth is a small business start best form of advertising. Existing customers spreading the word is the best way to get the word to build your business. Also, it is also the most economical since it should not cost you very little money. Giving an excellent experience to your clients is a way that you could save on your add budget. Also, they could be repeat business. The opposite could be a bad service would consequently cost you more money in advertisements and get a lower positive client response. First of all and pleasant customer experience will solve most of your advertisement and cash flow issues. Charities usually take up large chunks of businesses cash flows and finances. It can be one of the best approaches to improve business performance over time. First of all, you need to go and get your upstart out in the world and besides, it could be your best source of new business. Probably the best tip is to go and volunteer your time could be the best source new clients. Paying money out of your business account could be a tax deduction. However, it could reduce your cash flow and one day could be an issue. Corey & Associates Accounting Services posted this content. Since 1985 has assisted clients with all of their accounting services. albert@1040w2.com. Everyone is always welcome to come to the office for a free consultation. The best part of all is that walk-ins are still welcome. Check out our Facebook page for daily updates and tips. Instagram also has business tips that you can use every day and put more money in your pocket. Finally, our Youtube Channell will give you some over the shoulder view and tips for success. Did you know the deduction that will get you a tax refund from the IRS? Small Business Tax Deductions. Home Office is one deduction an overlooked in most tax returns and could be your prominent deductions. Have someone cleaning your home could be a deduction since it an office. Your water and Utilities will assist you in lowering your tax bills as a result of you working. Paying your rent and association fees if you live in a condo is also deductible. If you would have rented an office outside of your home there for then the government would allow you to deduct it. It is the same if you work out of your home as the results is you are saving money. IRS will treat your home or apartment as your office under certain conditions. You have to set aside one room or portion of your home as an office. The rule says that this area can only be used for work and nothing else. You can not use this area to watch TV or play video games. The TV can be there if you are using to watch shows that will educate you. Shark Tank or almost any show on CNBC or any business news. The logic is that you are learning something while as a result of your business forward. How they figure out the deductions Take the square foot of your home by your office. In all of my years in accounting it most of the time 25 percent deductions. If you get a 1099 or are self-employed, this could be a significant tax break that most taxpayers overlook. If you have any other questions, please contact our office. Your cell phone bill could be a tax deduction there for you can start saving money. Small business must set up your voicemail and answer your phone in a business manner. Here is an example of how you need to answer your phone. The name of your company. and say how can I help you. Do this when there is an unknown person on your caller id. Use a professional sounding voicemail would be an example of this. Name of your company we are assisting clients now. Please please leave your name and number and I will get back you. The IRS will give you the percentage of the office to your home as the deduction. Dividing the room by the square foot of your living space is how you get the percentage that you can use to reduce your taxes. We are Corey & Associates since 1985 has assisted our clients. Our firm files all personal and business returns. Do not take my word on how to assist our clients and look at the reviews on Yelp and Google. Check on what others are sayingin conclusion you will see that we are the right choice. The office address is 1800 W 68 St Suite 118, Hialeah Fl 33014. Contact us for a free consultation AND you could get the answers that you are looking for. Phone 305-823-9228 and email address are albert@1040w2com. Follow us on Facebook for daily tips on how to save money.